Pistachio lovers are in unison. It's well worth the effort it takes to crack open this nut's shell to retrieve its sweet, tender meat. 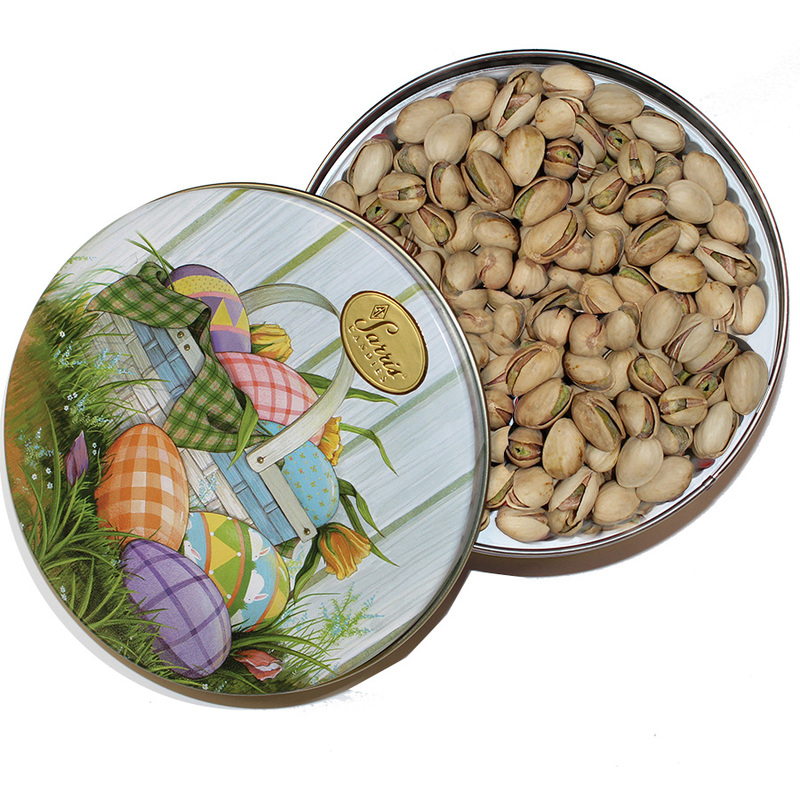 Our pistachios come packed in colorful tins with resealable lids that preserve freshness. Tin design may vary. Available in 12 oz. or 24 oz. tins.